In a previous article I wrote titled "Spend Doesn�t Matter", I highlighted the matrix driven goals followed by most corporations for their Supplier Diversity initiatives. For those unfamiliar with the term Supplier Diversity, "it is a business program amongst Fortune 1000 companies that encourages the use of privately-held companies owned by historically under-utilized businesses when purchasing goods/services." The fundamental goal of Supplier Diversity is to include businesses owned by diverse people in the supply chain of Fortune 1000 companies to build wealth within those communities. My objective is to create a paradigm shift to ensure that small businesses are the primary focus of that process. Over the course of the past ten years, I am happy to report that Fortune 1000 companies have consistently fulfilled their benchmark in increasing spend with diverse owned businesses and continue to do so. However, with over $100 billion purchased from diverse owned companies, we can only point to a handful of business owners that have fulfilled the "American Dream". This madness to achieve higher spend has had no "Impact" on employment and economic opportunities in the Nations underserved communities. With the widespread knowledge that the majority population in the United States will shift to the current nations most uneducated, unemployed and crime filled communities much has to be done. The Supplier Diversity process now has the opportunity to have positive impact on this trend by focusing their spend with truly diverse small businesses. Supplier Diversity has the unique ability to build prosperity with not only the "special few" but to be true to the word "diversity" and focus spend with organizations that not only have diverse leadership but diverse annual revenues. Another year of data collection from over 1 million small businesses reveals an even wider gap between supplier diversity goals and objectives and wealth creation in companies owned by diverse peoples. The billions of dollars of new business opportunities created by large corporations somehow still cycles back and remain in the hands of majority owned companies. The creation of Strategic Partnerships, where a large majority owned company and a diverse owned enterprise combine to win contracts, still flows the "Green" back to the same old boys. These transactions inflate diverse spend and create the illusion of progress and new economic development. The identification of the low hanging fruit (products and services offered by diverse owned companies) has become obvious to large procurement organizations. Much work has been done to move large contract dollars for IT services, Staffing, etc. to diverse owned firms with proven track records and exceptional delivery history. This sector of commodities has produced many companies with annual revenues of over $50 million. Problem is, there are sets of Go to companies for these commodities that are safe, low risk and highly qualified. The results are 8 � 10 commodities purchased from about 200 companies (the "Club") for a whopping $50+ billion in annual diverse spend. 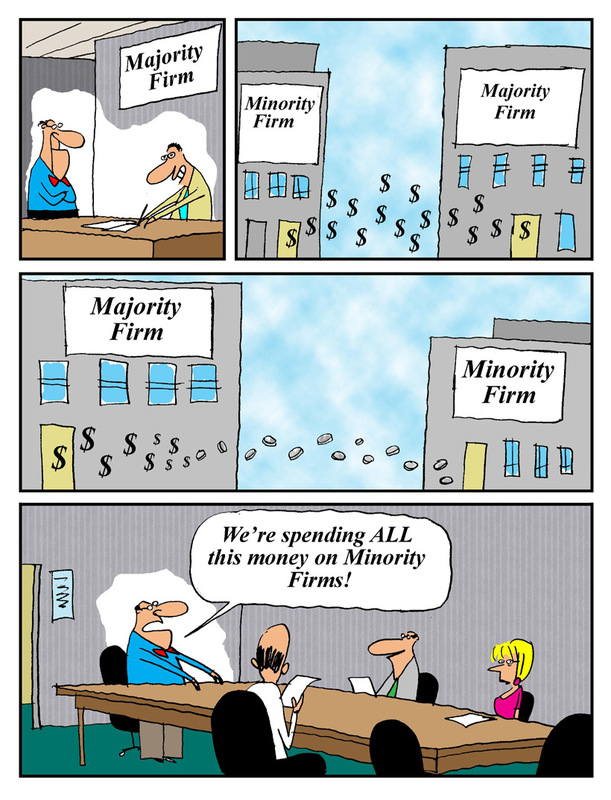 This represents about 50% of the total spend large corporations report with diverse owned companies. So what we have is a critical mass of dollars flowing to a very small number of companies. To make matters worse there is a significant number of pass-through and no-value added transactions and these commodities are at non-critical places within the supply chain. Digging deeper, we also find little or no jobs created within diverse communities from this commoditized spending because the systems, processes and administrative support already exist to execute the contracts. As an example, purchasing $10 million dollars worth of IT equipment usually turns out to be a drop shipment of items purchased from a manufacturer. In most cases, this type of purchase requires less than a few hours of administrative support for handling purchase orders, invoices and managing delivery schedules. So there is no job creation for such a large purchase and the profit margins are low. Another example, even though Staffing contracts result in the hiring of thousands of people, these positions usually require high technical skills, college degrees and subject matter expertise. These are not skills found amongst the unemployed, underemployed and under educated populations in our economically depressed communities. So there simply is no job creation and wealth building only goes to business owners. As diverse companies become larger, their ability to hire employees like themselves becomes diminished because now they have to hire the best person in the marketplace to continue their growth and also to avoid any discriminating hiring practices. The South Asian�s are an exception to this rule and continue to hire mostly South Asians. As we all know, the majority population in a few short years will be people of color and are very aware of the education, asset gaps and poverty levels that will be prevalent in our country right around the corner. 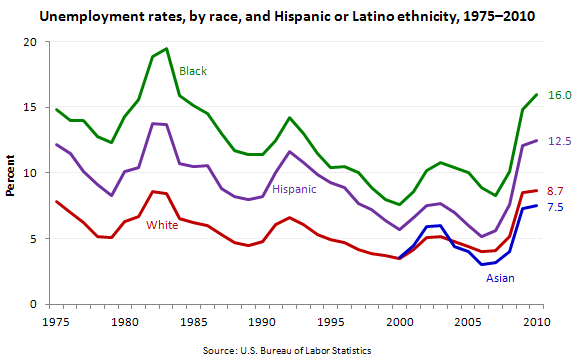 Our standard of living, global competitive advantage and world power status are simply in jeopardy if we don�t raise the level of economic participation within the African American and Latino communities that will dominate our population. When you add in the effects of crime, we are headed towards a third world environment in a few short decades. � So is the growth in diverse spend counterproductive? Is spend only suppose to be distributed to a select few?�Is supplier diversity in the wrong space? The answers are obvious but difficult to admit. We have been running down a path chasing the wrong goals for so long that it is going to be difficult to slow the train down. Too much effort has been invested in the current matrix driven processes. Too much parading of poster boys/girls has created an environment of satisfaction among large companies and the "Club". The network (30,000 people at most) that takes part in the Supplier Diversity process is too small and has not grown since I became involved over 30 years ago and remains relatively insignificant to the 8 � 10 million companies owned by diverse people. The solution lies in 2 parts. Procurement with companies with revenues under $1 million annually and a major increase in investment in education. Companies under $1 million in annual revenue tend to hire people that look like them, have between 5-10 employees and are from the same physical community. Increasing their business by a small $500,000 contract will not only result in job creation, but further promotion and goodwill among their employees. So there is no Einstein here, we simply have to manage the distribution of contracts among companies that will have an impact in the communities that need the help. 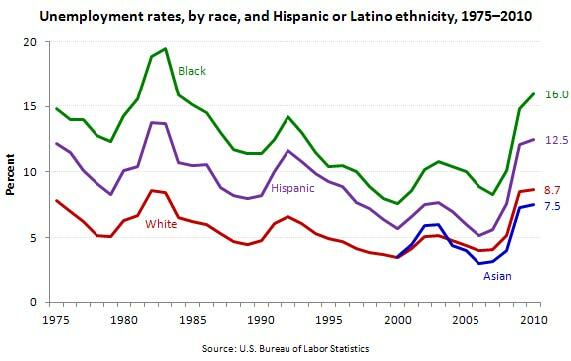 That also means non-diverse owned companies with high employment in the targeted communities. Oops, did I say supplier diversity should also include non-diverse companies? Absolutely, the impact comes from employment and job creation not just wealth building for a few. The ability for anyone to turn around this trend is strained by the lack of resources dedicated to the Supplier Diversity process at large companies and their limited empowerment within their organizations. The confusion over best practices only being common-practices and follow the flock mentalities continues to drive status quo benchmarking.� The limited research skills required to perform impact analysis would also pose challenges for a new direction in thinking. While strategic sourcing processes have made significant improvements on bottom line results these gains may have an inverse effect on long-term profitability. Mitigating supply chain risk have included factors such as financial, political and natural disasters but have not examined the long term scenarios of a less educated work force, higher unemployment, increased poverty levels and a lowered standard of living in the U.S.� So our short-term gains, by having a smaller/tweaked supplier base put all of us in jeopardy of the life style we currently enjoy in America. There is no holding this train back because of our focus on financial reports measured on a quarterly basis. �HAVE OUR EFFORTS CREATED REAL MEASURABLE RESULTS? So who is going to tell the C-suite we have wasted 20 years chasing the wrong diversity spend goals? That the money spent on events, memberships and staff has had no measurable impact on the populations we are trying to include in economic prosperity or gain as new customers. After all, we can show we have spent billions of dollars and provide numerous examples of successful diverse companies whose owners are willing to give great testimonials. We can also gather a few thousand people at an event and celebrate our successes. 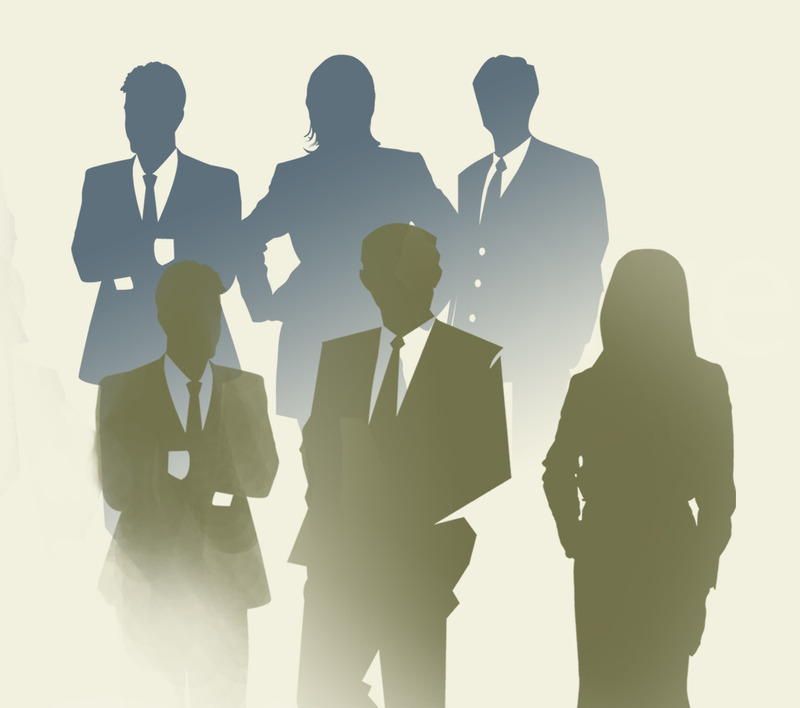 But who is going to tell the C-suite it�s all smoke and mirrors? Who is going to report that in spite of our company spending over $1 billion with diverse owned companies, we cannot measure the number of new jobs or economic opportunities created for those less fortunate communities? Who is going to report that we continue to put most of our efforts into supporting diverse companies whose owners are already multi-millionaires? "We want our supplier base to mirror our customer base" is a phrase used often as a goal that makes bean counting easy but draws focus away from percentage of ownership and senior management at most mature diverse owned companies. "We use our Supplier Diversity program to improve our market share within multicultural communities" is another immeasurable statement used frequently with no foundation for tracking sales generated. The Supplier Diversity professional has exceptional skills and motivation to make a system work. All they need is the time to sit back and see where they really are and establish a new paradigm. These over worked and sometimes unappreciated professionals deserve a framework in which they can really make an impact on the economic prosperity of our under utilized diverse communities. If we take the time to setup a new direction and forget about scoring points (by the way � no one is watching), our goal needs to have a real Impact on diverse communities. Without Impact, we simply have a lot of movement going nowhere. Let�s take a serious look at where our country is and where we will be in a few short years if we do not include everyone in the fruits of economic success. In order for supplier diversity to remain relevant, they must re-focus their attention on primarily supporting small businesses instead of taking the path of the least resistance and reporting "mission accomplished." Kenton Clarke is the Founder, President and CEO of Computer Consulting Associates International, Inc. (CCAii) and the founder of DiversityBusiness.com. CCAii, of Southport, Connecticut, is one of the nation�s leading multicultural Information Technology consulting firms. DiversityBusiness.com, CCAii�s flagship product, is the nation�s largest and most comprehensive online resource center for small businesses and large procurement organizations. 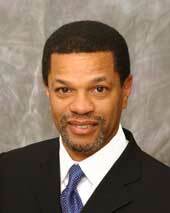 Mr. Clarke�s accomplishments have been recognized by numerous local and national awards, including the Regional Minority Small Business Person of the Year Award from the US Small Business Administration, the Ernst & Young�s Entrepreneur of the Year Award and the Connecticut�s "Small Business Person of the Year" Award from the SBA. With Mr. Clarke at its helm, the US Small Business Administration also honored CCAii with its Nation�s Top Diversity Owned Business Award for the development of DiversityBusiness.com and its commitment to business development for Diversity business owners. Considered one of America�s authorities on diversity business issues, Mr. Clarke is frequently quoted in local and national publications on diversity business development and technology issues, including Fortune and Black Enterprise magazine. He has also appeared as an industry spokesperson on PBS, CNBC, CBS News Radio and Yahoo! Finance Vision. About DiversityBusiness.com, Launched in 1999, DiversityBusiness is the largest organization of privately owned businesses throughout the United States that provide goods and services to Fortune 1000 companies, government agencies, and colleges and universities. 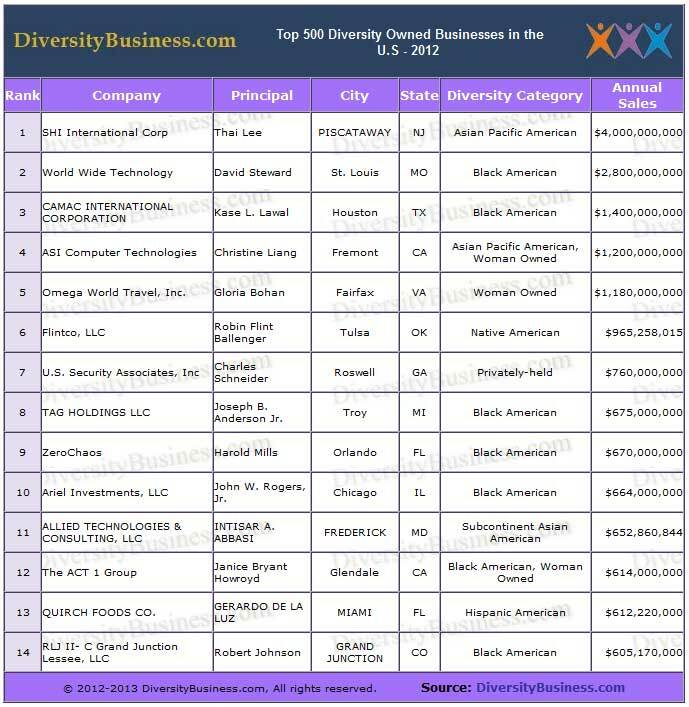 DiversityBusiness provides research and data collection services for diversity including the "Top 50 Organizations for Multicultural Business Opportunities", "Top 500 Diversity Owned Companies in America", and others. Its research has been recognized and published by Forbes Magazine, Business Week and thousands of other print and internet publications. The site has gained national recognition and has won numerous awards for its content and design. DiversityBusiness reaches more diverse suppliers and communicates more information to them on a more frequent basis then all other organizations combined. We also communicate with mainstream businesses, government agencies and educational institutions with information related to diversity. Its e-magazine reaches over 3,000,000 readers, an e-newsletter that reaches 2.4 million, and website visitors of 1.2 million a month. It is a leading provider of Supplier Diversity management tools. DiversityBusiness.com�s produced by Computer Consulting Associates International Inc. (CCAii.com) of Southport, CT. Founded in 1980.